We have some exciting news. From today, specialist equipment and crane hire firm, Hewden Stuart Ltd has completed the purchase of Firefly’s event rental business. The acquisition is part of Hewden’s commitment to providing sustainable hire solutions. Firefly continues to design, manufacture and sell our industry leading range of hybrid generators. 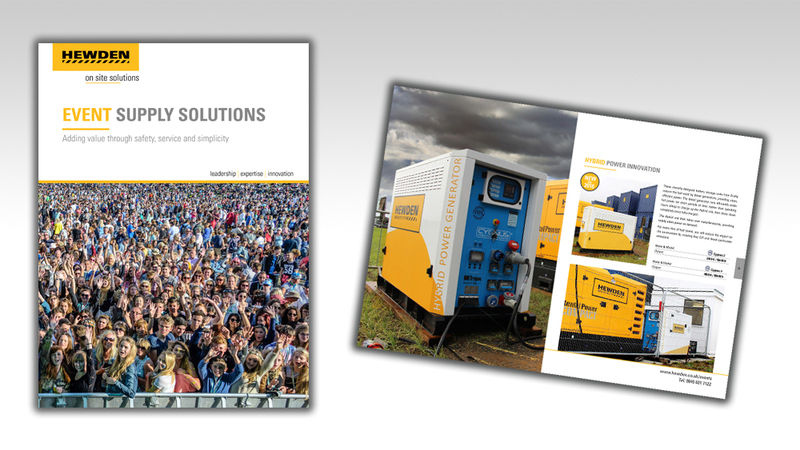 A range of equipment will be added to Hewden’s product portfolio as part of the acquisition, including; generators, hybrid units, solar panels, distribution units, cables and lighting solutions. The new equipment will help strengthen Hewden’s proposition in the events sector where Hewden has experienced significant growth. We would like to take this opportunity to say a big thank you to our events customers over the years. Together we have seen many changes take place in the industry, notably the wider adoption of cleaner energy. Going forward, we will still continue to strive in our vision for an energy efficient, low carbon and cost effective future for festivals and events, working closely with Powerful Thinking. These events and the incorporation of clean energy exemplify what the industry can achieve with hybrid power and along with the ‘Festival Vision; 2025 Pledge’, together we can take industry-wide action to create a sustainable future!